Home Yu-Gi-Oh! Yu-Gi-Oh! 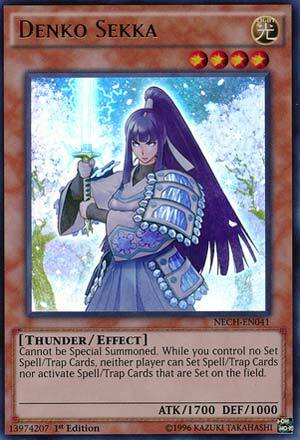 Featured Writers The 4 Formats of 2014 – Yu-Gi-Oh! 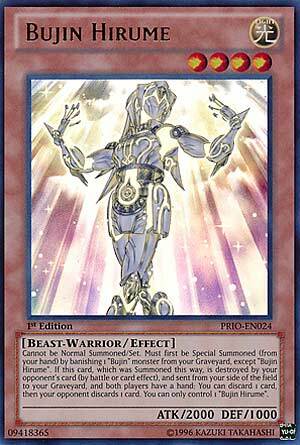 The 4 Formats of 2014 – Yu-Gi-Oh! Some people have a poor memory of 2014 in Yugioh. I don’t blame them. Although it was one of the formats that I’ve played the most, I’ve gotten years mixed up too. A lot of cards and archetypes were released in 2014. The game accelerated fast. So, in this brief article, I want to separate the year into 4 formats. I say 4 because there were so many radical changes in that year that essentially made each season into its own format. Legacy of the Valiant was the big set in early 2014; it had a lot of archetypal support. In February, YCS Atlanta’s top 32 list was proof on how diverse the format was: 11 Fire Fist, 6 Geargia, 4 Spellbook, 2 Mermail, 3 Hieratic Ruler, 2 Bujin, 1 Dark World, 1 Infernity, 1 Lightsworn, 1 Evilswarm. Wow. Fire Kings and Madolche were also around too. This is probably what people remember as the format that was very diverse, but this didn’t represent all of 2014. A fair deal of this diversity continued onto the HAT format, but during much of the 2nd half of the year, these decks would be obsolete. The next booster set Primal Origins was released in May which expanded the options of XYZ monsters in Extra Decks. Dragons of Legend, an anime based set, was released in late April. It had many nostalgia cards, but also competitive cards. Fire Hand and Ice Hand were recruiters that destroyed cards while recruiting. They had their exploits, but punished many plays. Soul Charge made life points matter, although it did make swarming for massive card advantage far too easy. Wiretap was like a Seven Tools of the Bandit without the cost. As a result, alongside Traptrix (with Trap Hole cards) and Artifacts (basically Moralltach and Sanctum, which could destroy a monster and then summon a large-ish floater to the field), HAT was born: Hands-Artifact-Traptrix. I liked that the format had a high trap line-up, especially with Wiretaps; complex trap chain reactions happened and one of the two players had to emerge victorious. The other diverse archetypes were certainly around for sure (and viable), though at this point, HAT was the main deck. In September, a major set called Duelist Alliance essentially gave the game a reboot. The many archetypes from earlier in the year became obsolete.. It introduced 3 powerful archetypes. Shaddolls were the most feared for their ability to summon out powerful Fusions at low cost, strong Flip Effects in their arsenal, and powerful effects when milled from deck to grave. However, Shaddolls were quite not as all-powerful as expected and had several weaknesses. Burning Abyss came in, although it was basically a deck that made rank 3’s (mostly the same one: Dante) and used discard removal like Karma Cut since their effects triggered when discarded for a cost. Then, Satellarknights: They basically made Rank 4’s and hid behind traps; very low variety, a linear deck overall. Shaddolls had a respectable degree of versatility and complexity. However, while competition was needed, the other 2 deck types didn’t add much depth to the format. This 4th segment of the year is probably what the majority of people would consider the worst format of the year (and it’s probably the legacy format of the year that people would be least likely to play). The Nekroz abomination began in early 2015, but the Qliphort format was the turning point when the game became sour again. In November the booster set The New Challengers came out. It gave a little bit of support to archetypes from the previous set, but apart from a 1700 ATK beater with a Cold Wave-like effect called Denko Sekka, Qliphorts were the only great card of the set. Qliphorts were the first major deck to use the Pendulum mechanic. They searched themselves with ease, filled the Pendulum scale, and were able to swarm with giant beatsticks (which could revive themselves via Pendulum). Worst of all, they benefited from floodgates like Skill Drain. They weren’t necessarily a tier 0 deck. The other 3 big deck types were still viable. But Qliphorts were the beginning of Yugioh’s decline which would continue in early to mid 2015.